It is now super easy to open a new Access Bank account in Nigeria on phone without internet connectivity. All you need to do is to simply dial * 901 # USSD code on any phone type. The newly launched * 901 # USSD code does not only gives access to opening a new bank account on the go, but also enable all customers to be able to pay bills, buy airtime, transfer funds and lots more from any kind of phone. This means that Access Bank account opening is FREE and it is open to everyone that has a mobile phone. Open an account from anywhere without visiting the branch. Your account number will be automatically created and will be sent to your mobile phone via SMS. 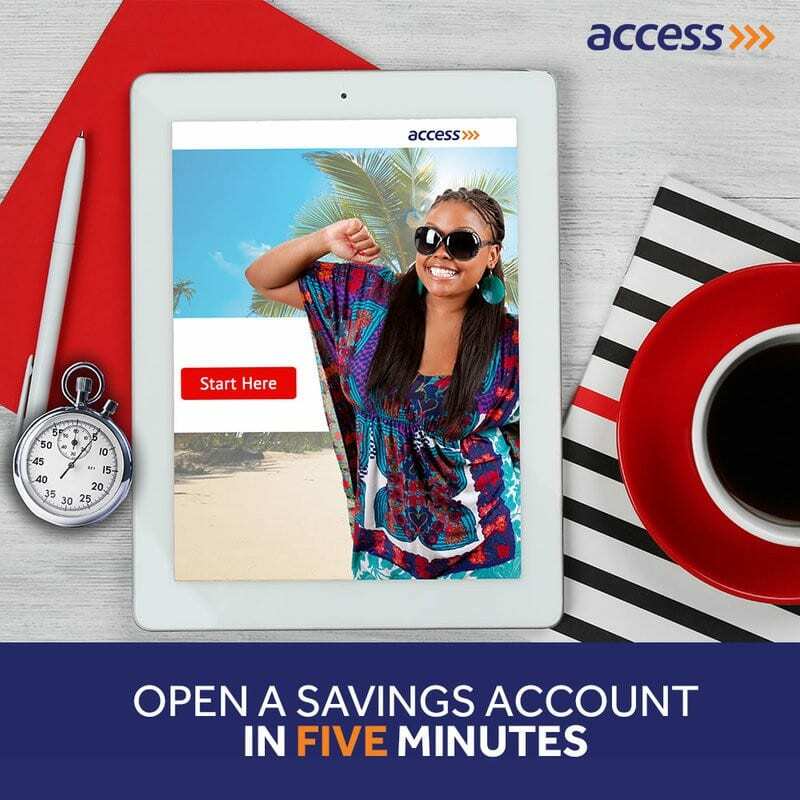 Account opening forms are NOT needed for opening a new Access Bank account with mobile. Once the sign up is complete, look out for your ten-digit account number (NUBAN). Congratulations! You have successfully opened a savings account with Access Bank. I wanted to open an account but is showing error but by lucky I opened it they send money to me but I was unable to collect the money. Help me out on time because am sick I want to use the money to buy drug.